Usechain at 2018 Korea Blockchain Expo to Start the “3GO” Program! 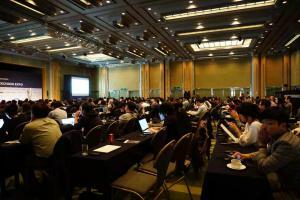 SINGAPORE, SINGAPORE, October 26, 2018 /EINPresswire.com/ -- On October 23-24, the 2018 Korea Blockchain Expo, hosted by the Korea Economic Daily and Deloitte, was successfully held at the Hilton Hotel Convention Center in Hongon-dong, Seoul, Korea. Usechain COO Erik Xu, as a guest speaker of the Expo, shared the development and achievement Usechain has got and the global strategic program of Usechain with all the participants on the event. At the expo, Erik Xu talked with South Korean’s key figures such as Hye Hoon Lee, the head of the Korea ruling party, Taekyoon Kim, the chief information officer of the Seoul Metropolitan Government, and Wooyong Shin, vice president of Samsung SDS. Besides, Erik Xu actively discussed with Korean technical experts and government policymakers, on the topics of "Innovation direction of blockchain industry", "Cooperation between government and private enterprises in blockchain technology development", "blockchain economy grafting entity economy", etc. In addition, Erik Xu was interviewed by the local media such as the Korea Economic Daily, to explain the concept and vision of Usechain to the public. Erik Xu said in his speech that we always believe that blockchain technology can change the world. Usechain solves the problems of the impossible trinity through Mirror Identity Protocol that realizes the correspondence and isolation of identity off-chain and addresses on-chain at the same time. This is the basis for Usechain to build a financial compliant blockchain. Focusing on the global market, Usechain has built up close ties with South Korean blockchain supporters. South Korea has 3 million cryptocurrency investors, accounting for 7.5% of the country's 40 million people. In December last year, about one-third of the world's bitcoin transactions took place in South Korea with a population of only 52 million. On the other hand, the Korea Financial Services Commission (FSC) has also targeted the cryptocurrency industry in July this year; the South Korean Deputy Prime Minister and Minister of Planning and Finance said that in the next five years, Korea will invest 9 to 10 trillion won in the blockchain and other fields. 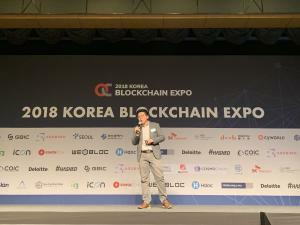 Erik Xu said in his speech, “Participating in this Korea Blockchain Expo is an important step of the “GO KOREA” strategy of the Usechain “3GO” Program. As the first step in Korea's eco-layout, Usechain will not only let Korean blockchain investors understand more about Usechain project, but also conduct a deeper research of the Korean blockchain policy, current development and the future of blockchain industry! As the other two parts of Usechain “3GO” Program, the “GO GEEK” and “GO ECO” strategies also draw much attention. "GO GEEK" strategy aims to build a global technology developer community with geeks from Silicon Valley, the cradle of Usechain technology concept. The “GO ECO” strategy focuses on the research and analysis of the blockchain industry. Usechain will take its technical advantages in the blockchain field to provide blockchain consulting and technical services to cross-disciplinary enterprises, while deploying lab-building resources, combining with professional research institutions such as CKGSB financial technology innovation institution, the Geek College, BlockData, etc, to see the industry's output and unveil the fog for the development of the blockchain industry, looking forward to the future.